Jennifer and Rachel are dedicated to performing contemporary music. As a cellist and flutist, respectively, they regularly perform avant-garde works. Both musicians perform in artist- led ensembles and consider it part of their art form to spearhead new and exciting artistic projects. 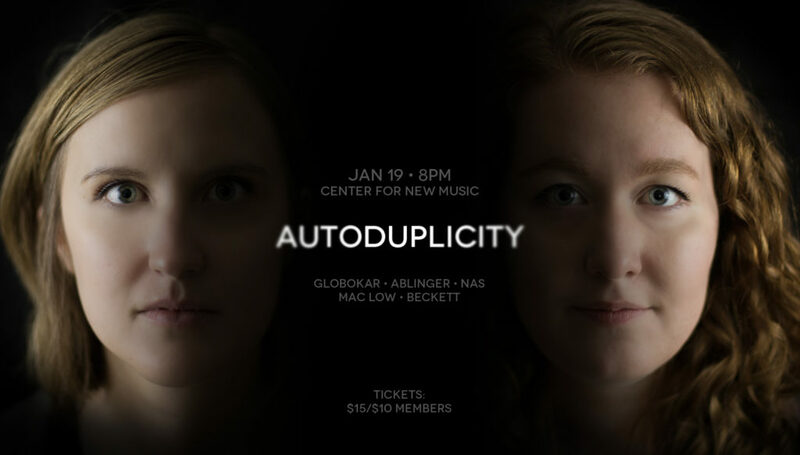 Rachel and Jennifer created Autoduplicity to explore performance beyond music for highly trained instrumentalists and to find what this exploration might illuminate when done as a duo. The repertoire on the program was carefully chosen to reflect complementary imitation, cooperation, and friendship.